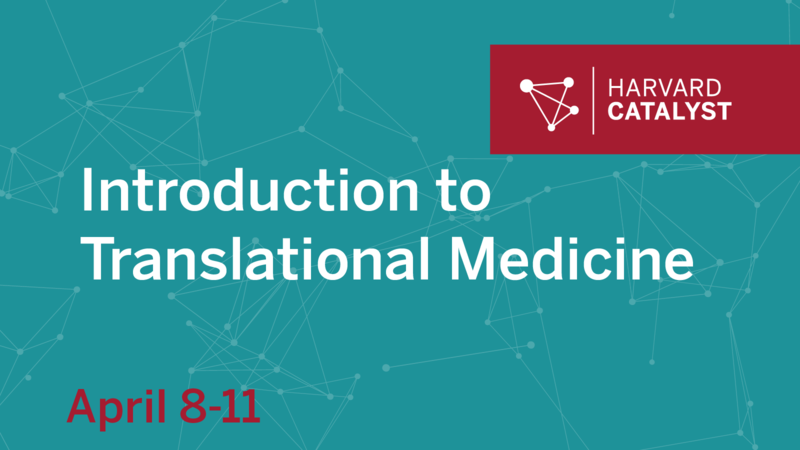 Course: Four-day introductory translational research course focusing on new drug (small molecules and/or biologics), device, and diagnostic development. Participants will engage in case studies, receive training in pre-clinical development of novel target and leads, clinical pharmacology, the regulatory process, and design of the first-in-human clinical trial, as well as learn about funding and successful academic/industrial collaborations. Eligibility: MD, DMD, PharmD, DNP, PhD, or equivalent. Involvement in basic or clinical research.